As believers, God expects that all possessions be transferred to Him. But since we can’t literally place everything into His hands, this transfer becomes an act of faith. In essence, it means accepting the fact that God owns it all. Transferring ownership to God means that God owns all that we consider ours: clothes, car, home, family, income, debts, present, and future. Once ownership is transferred, God can begin to lead out of debt and into financial freedom. We then become stewards and managers of what belongs to Him. So, if God is the owner of everything in our life, He can be trusted to change unhealthy spending habits (especially the abuse of credit cards) that cause debt, anxiety, and fear of the future. The key to maintaining this relationship is to properly understand the definition of stewardship. A steward is someone who manages the property of another. As His stewards, we are responsible for managing His property in a way that will please Him.2 God will not force His will on us, but if we realize our responsibility and transfer everything to Him, He will keep His promise and provide for each and every need. The first step in achieving financial freedom is to realize that since God is in complete control, all that we are, do, have or ever will have must be transferred to Him. 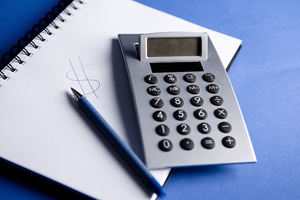 Develop a written plan of all expenditures in order of importance. Determine whether the expenditure or purchase is a need (basic necessities such as food, clothing, and housing), a want (things that make life easier, such as more expensive clothes, or a new tech device, or a desire (more expensive wants, such as designer clothes, a new car or a larger TV). In order to maintain true financial peace, we must recognize and accept that God’s provision—all that He gives—is what He has provided to direct our lives. Many Believers are under the impression that God directs financially only by an abundance of money. This is not necessarily true. Sometimes He directs by withholding financial abundance As such, He expects His people to live on what He provides and not be pressured by the desire for riches and material possessions. Believers seeking financial freedom must always be willing to put other people first. “Be hospitable to one another without complaint. As each one has received a special gift, employ it in serving one another as good stewards of the manifold grace of God” (1 Peter 4:9-10). It is not God’s plan for us to get ahead in the world at the expense of another. Their welfare must be considered. “Do not neglect doing good and sharing, for with such sacrifices God is pleased” (Hebrews 13:16). Unfortunately, most believers in America are self-indulgers, rarely passing up a want or desire, much less a need. To achieve financial freedom, indulgences and the tendency to spend more than what can be afforded on things that are not needed must be avoided.6 Indulgence is greed. “But immorality or any impurity or greed must not even be named among you, as is proper among saints” (Ephesians 5:3). Most believers have an upside-down view of money. They feel that the money they have is theirs and that God’s money is the portion that they give to the church. But God has a different view. As Lord, God, and King, He owns everything—including the money that we claim as our own. As such, He has clear ideas of how He wants His people to function and to make use of His possessions—ideas that result in financial freedom for His people, if they are followed step by step. This entry was posted in Financial Tools. Bookmark the permalink.